ORANGEBURG, NEW YORK - This project entails the construction of a 132,000 SF precast concrete panel warehouse addition which will house parts for Subaru of America vehicles. Additionally, portions of the existing 150,000 SF warehouse will be converted into a training center! We expect Subaru Distributors Corp. to enjoy this new space the first quarter 2019! TOWNSHIP OF WASHINGTON, NJ - This 40,000 square foot, state-of-the-art medical office facility will be the future home of Rothman Institute. The medical building will be part of a mixed used development, Washington Square Town Center, which will include retail, residential apartments, townhomes, and an assisted living facility. 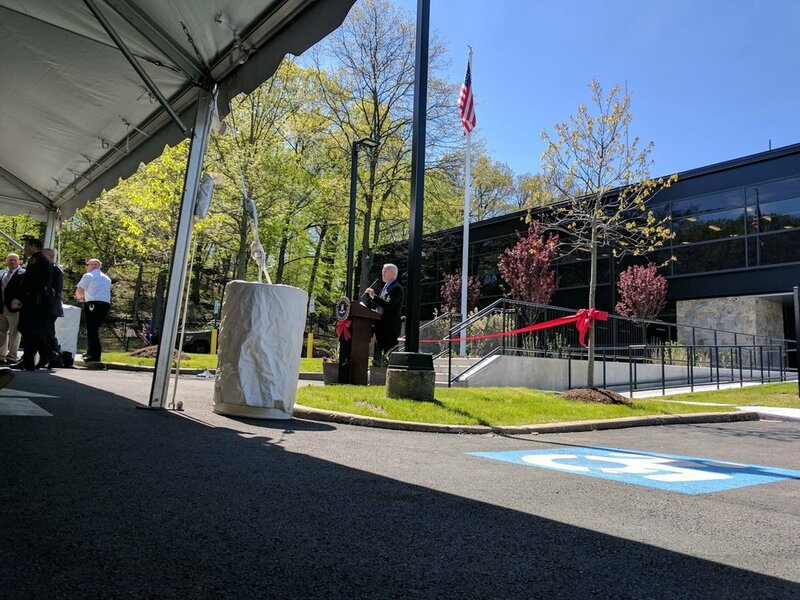 HAWTHORNE, NY - As the Construction Manager, we constructed a new Prefabricated Metal Building which consists of 74,000 SF of warehouse space and 8,000 SF of office space for NYSCO Products, LLC, designers and manufacturers of custom stock displays. Moving from the Bronx, this warehouse and office space allows them the opportunity to provide the fastest service and highest quality displays possible for their customers. Photos courtesy of Hance Construction, Inc.
SOUTH PLAINFIELD, NJ - Phelps Construction has been chosen as the Construction Manager for Phase II of this project after completing Phase I earlier in 2016. Phase I entailed converting an existing warehouse into a liquid blending and warehouse facility. Phase II of this project will consist of of an addition to the existing warehouse, interior renovations and site work. Allen Flavors, Inc. was founded in 1991 and has grown to be the largest sweet flavor house in the United States. Allen Flavors produces flavoring for many popular sports drinks, teas and flavored spirits. They are also a distributor for Nestlé coffee and tea extracts. 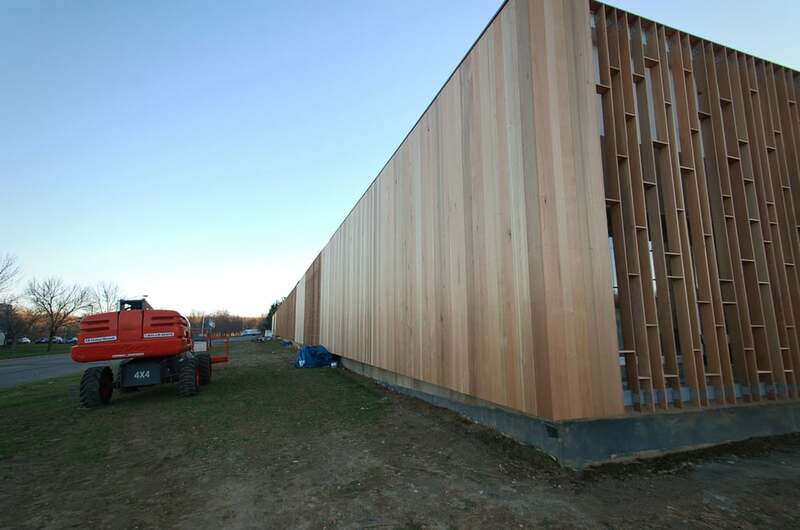 RYE, NY - This building will have several security features installed including blast resistant structure/facade and state-of-the-art security technology. In addition, there will be several improvements to the site. 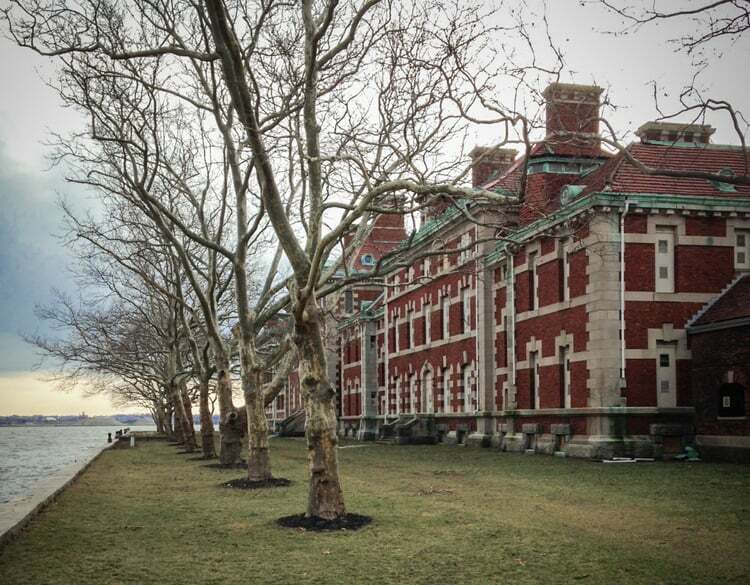 ELLIS ISLAND, NY/NJ - We renovated the 2nd Floor Offices in the Laundry / Hospital Outbuilding for Save Ellis Island. The Hospital Outbuilding, as it was originally known, was built between September 1900 and December 1901 as a support building for the first hospital building constructed at the same time. As other buildings in the Island 2 Hospital Complex were added between 1901 and 1909, the Laundry/Hospital Outbuilding’s role became even more essential. 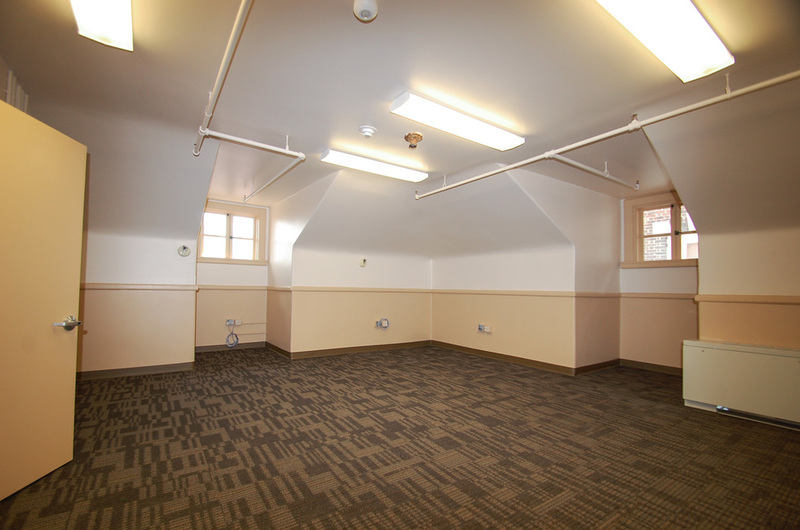 The primary functions on the ground floor of the Hospital Outbuilding were a laundry room, an autopsy room and morgue, a disinfecting room, and a boiler room to provide heat for the Hospital wing and the Hospital Outbuilding. 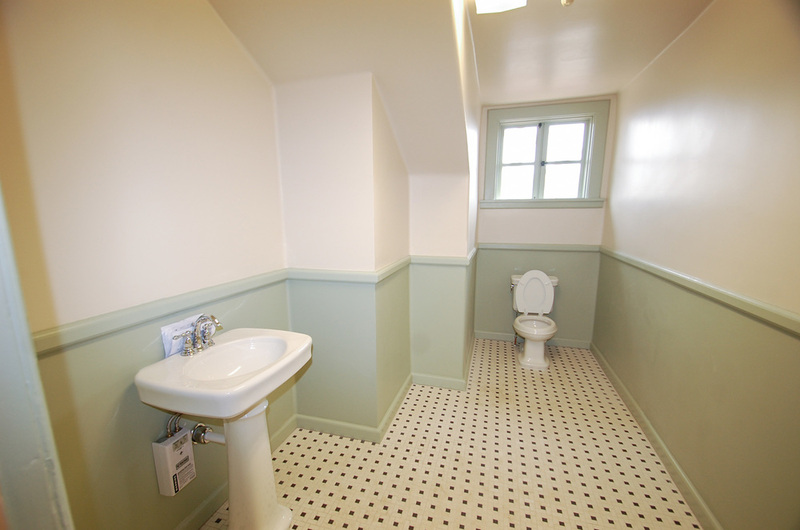 The second floor was designed as sleeping quarters for the hospital staff with four bedrooms and two bathrooms. James Knox Taylor, Supervising Architect of the U.S. Treasury Department (1890-1912), designed the Hospital Outbuilding in 1899. The original Hospital Outbuilding is a one and one half story brick bearing wall structure, with a wood framed and clay tile roof with ten dormers. Interior construction consisted of terra cotta block walls with plaster finish on the first floor and wood framing, metal lath and plaster finish on the second floor. Circa 1920, a small freestanding linen exchange was demolished and replaced with a one-story brick addition to the west of the original building. Originally known as the Linen Exchange but now called the Laundry Building, it provides an interior connection between the Hospital Outbuilding and the covered corridor to the west. The equipment used for the laundry, such as the laundry press or “mangle,” dryers and washers, still remain intact and will be used for interpretive programming. UNDISCLOSED ADDRESS - This project involves renovating the interior of an existing 30,000 square foot, two-story building for the GSA. The building will have several security features installed including blast resistant structure/facade and state-of-the-art security technology. In addition, there will be several improvements to the site. SUMMIT, NJ - This project entailed renovating a 5,500 square foot space for incoming tenant Grey Healthcare Group, a global healthcare marketing and communications agency. This contemporary tenant fit-out consisted of constructing conference rooms, offices, and shared workstations complete with all telephone and data systems. UNDISCLOSED ADDRESS - This project consists of the rehabilitation to 64,000 square feet of an existing warehouse/manufacturing space for conversion to a storage/office facility for the GSA. The building requires demolition down to the shell including all finishes; utilities; mechanical, electrical and plumbing systems. In addition, it involves the saw cutting, removal, and replacement of large quantities of concrete and asphalt. The conversion consists of all new utilities, high efficiency mechanical, plumbing, fire suppression, electrical and tele/data systems as well as 24’ high CMU partition walls, finishes and exterior upgrades to the parking lot and façade of the building. Roughly 3,000 square feet of windows and glazing will be replaced with new blast proof windows and security screens. This conversion requires major upgrades to the infrastructure of the building which was built around 1950 and has considerable settling issues on its interior. 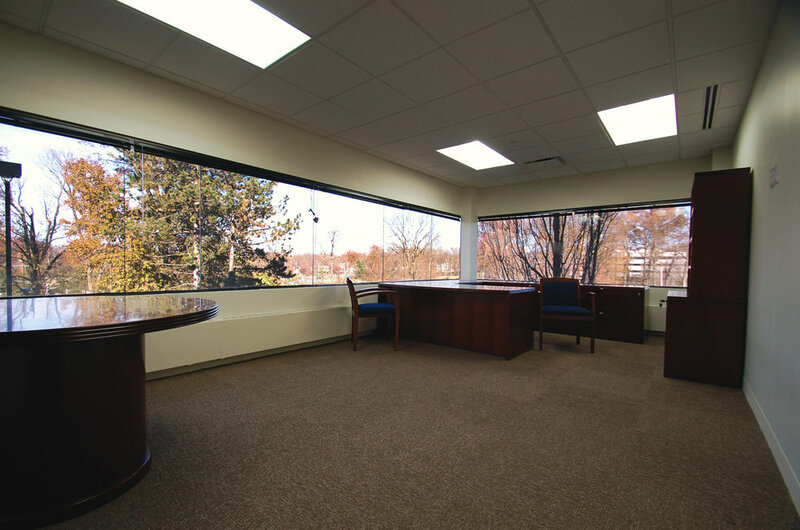 PARAMUS, NJ – This project involved the selective demolition and interior fit-out of an existing 7,000 SF medical office space. The new space features eight exam rooms, two X-Ray rooms in addition to a staff lounge, reception area, scheduling area, support areas, and offices. 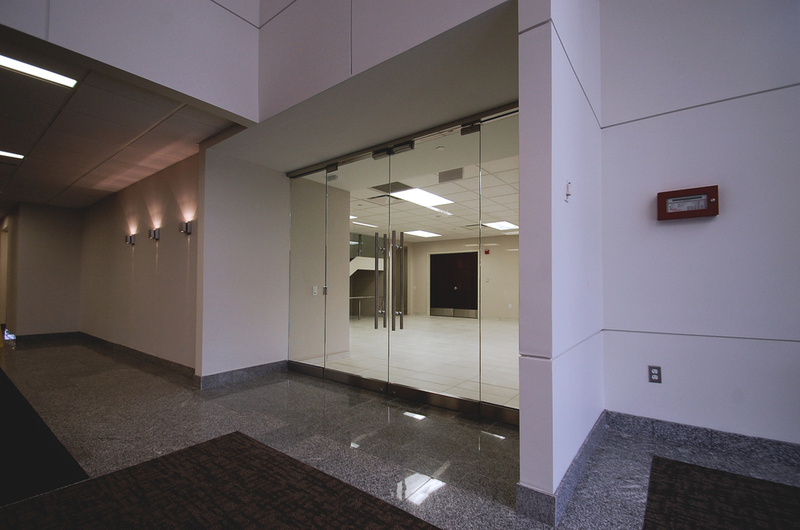 In addition to the interior changes, a private entrance was constructed for the Hospital for Special Surgery. The project was completed on time and the doors opened November 2014. ROSELAND, NJ - Phelps Construction Group worked for Normandy Real Estate Partners on the interior demolition and renovation of 3 Becker Farm Road. 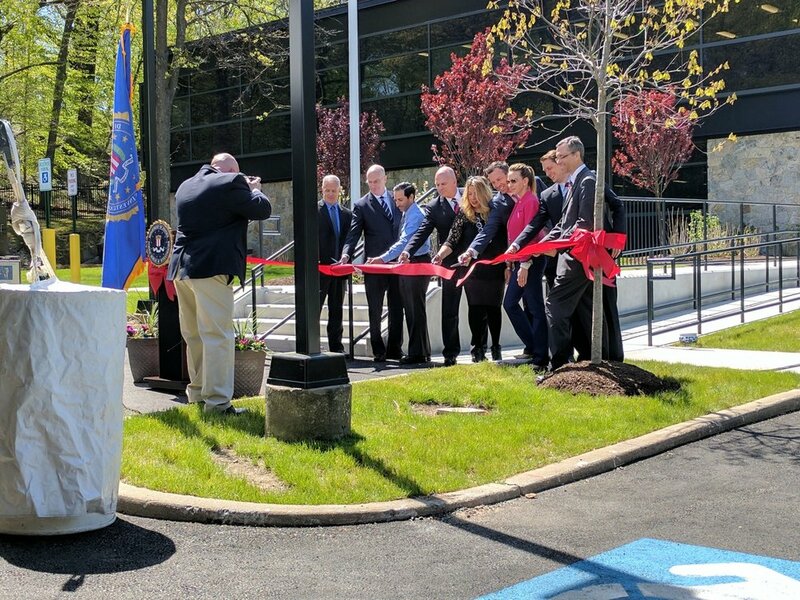 4,000 SF of first floor space and an additional 26,000 SF of second floor space has been renovated into new offices and a conference center for a prominent New Jersey law firm. UNDISCLOSED ADDRESS - This project entails constructing a two-story, 28,500 SF office for a GSA Tenant. The building has several security features including blast resistant structure/facade and state-of-the-art security technology. MOUNT OLIVE, NJ - This project entails the construction on a new 189,000 SF food processing facility for Fratelli Beretta U.S.A. The facility will include 177,000 SF of food processing and 12,000 SF of office space. Fratelli Beretta U.S.A., which has been producing fine Italian meats for over 200 years, will be operating out of Mount Olive for the first quarter of 2015. LIVINGSTON, NJ – Bottle King at 343 West Mount Pleasant Avenue in Livingston held their Grand Opening this morning. This project consisted of a major renovation of an existing car dealership and a two-story addition. The retail plaza, completed in October 2013, serves as the new location for the Livingston Bottle King, CVS, and new Corporate Headquarters of Allied Management, Inc.
RIDGEFIELD PARK, NJ - Phelps Construction Group completed the interior fit out of all the common areas for, The KABR Group, which owns the 235,000 square foot class A office tower at 85 Challenger Road in Ridgefield Park, New Jersey. This office tower now serves as the North America headquarters for Samsung. FRANKLIN TOWNSHIP, NJ - Located in the lower level of the Franklin Commons Medical Office Building, this project is a 10,000-square-foot learning facility for Childtime Learning Center, a subsidiary of Learning Care Group, Inc. Childtime strives to create a home-like setting to foster the development of the whole child, offering services from child care to school-age education for children aged 6 weeks to 12 years. 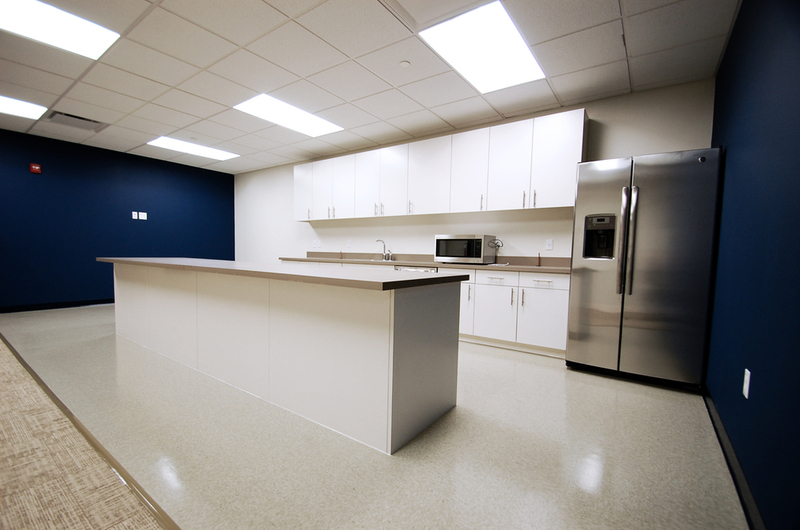 The facility features classrooms, offices, a full service kitchen and an outside playground. KEARNEY, NJ - Headquartered in Dallas, Texas, Freeman is the leading provider of integrated services for face-to-face marketing and brand building events, including expositions, conventions, corporate events, meetings and exhibit programs. Our project entailed the fit out of an existing warehouse, located in Kearney New Jersey, to house the new Offices for their Metropolitan New York branch location. NEWARK, NJ - Located in a registered historical building on Washington Place, this facility is the headquarters for Unite Newark. Unite Newark is the union that represents apparel and textile manufacturing workers, hotel and casino, food service and restaurant employees. The project consisted of the complete interior demolition and interior construction of this 20,000 square foot, four story building. This project achieved its goal of adaptively renovating this historic building to meet the needs of Unite Newark while enhancing the historic nature of the building. PRUDENTIAL CENTER - NEWARK, NJ - This project consisted of the construction of the new locker rooms and training rooms for the New Jersey Nets at the Prudential Center in Newark. Previously playing at the Izod Center, the New Jersey Nets will be calling the Prudential Center home for the next two years before their anticipated move to Brooklyn.